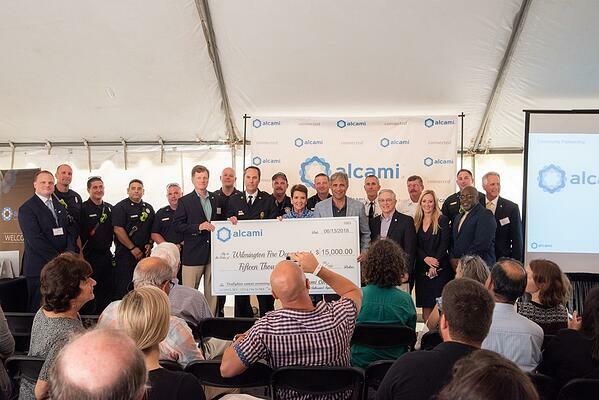 Durham, NC (USA) – June 14, 2018 – Alcami Corporation, a leading provider of fully-integrated custom end-to-end solutions for the pharmaceutical and biotechnology industries, announced today its $15,000 donation to the Wilmington, North Carolina Fire Department (WFD) to help fund IvyGene® cancer screenings for firefighters. Wilmington Mayor Bill Saffo, Mayor Pro-tem Margaret Haynes, Deputy Fire Chief Jon S. Mason, and other prominent city officials accepted the donation at an invitation-only commemorative event Wednesday, June 13, 2018, at Alcami’s Wilmington state-of-the-art advanced laboratory services and oral solid dose formulation and manufacturing facilities. 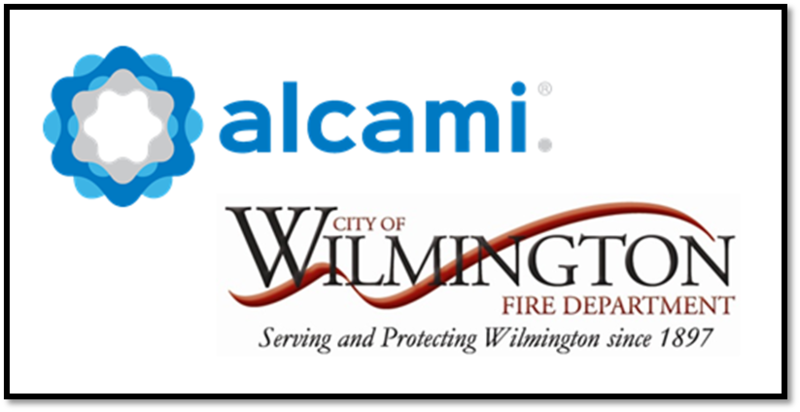 “The City of Wilmington would like to thank Alcami Corporation for this generous donation and their continued commitment to our community,” said Wilmington Mayor Bill Saffo. The Wilmington Fire Department consists of over 200 professional firefighters and personnel dedicated to the safety of the residents and visitors to the City of Wilmington. Its 10 fire stations are strategically placed throughout the city to ensure rapid response to fire and emergency medical calls. Due to the daily risks they are exposed to, firefighters face higher rates of cancer diagnosis and experience greater cancer-related mortality rates than the general population. Fire departments across the United States are adopting the IvyGene blood test, which uses advanced DNA sequencing methods to confirm the presence of cancer and give quantitative data about disease presence. The IvyGene test is owned by Laboratory for Advanced Medicine, Inc. (LAM), a biotechnology laboratory specializing in the early diagnosis and intervention of cancers. The Wilmington Fire Department (WFD) provides fire suppression and first response emergency medical services (EMS) within the city of Wilmington. The department also responds to motor vehicle accidents, rescue situations, hazardous material incidents, water rescues and specialized fire and EMS emergencies. Along with traditional firefighting, the WFD has several teams of firefighters who are cross-trained to serve multiple roles when an emergency arises. These teams respond to hazardous material incidents, high angle, trench, confined space and structural collapse rescues. The department also has teams trained in marine firefighting and dive rescue. The Wilmington Fire Department responded to 13,901 incidents in 2016, which is more than a 32% increase in activity over the last five years.